For Napoleon's stepdaughter, nothing is simple -- especially love. Paris, 1798. Hortense de Beauharnais is engrossed in her studies at a boarding school for aristocratic girls, most of whom suffered tragic losses during the tumultuous days of the French Revolution. She loves to play and compose music, read and paint, and daydream about Christophe, her brother's dashing fellow officer. But Hortense is not an ordinary girl. Her beautiful, charming mother Josephine has married Napoleon Bonaparte, soon to become the most powerful man in France, but viewed by Hortense as a coarse, unworthy successor to her elegant father, who was guillotined during the Terror. Where will Hortense's future lie? Inspired by Hortense's real-life autobiography with charming glimpses of teen life long ago, this is the story of a girl chosen by fate to play a role she didn't choose. Hortense de Beauharnais grew up during the unfortunate time of the French Revolution. During this time many members of the aristocracy were woken in the middle of the night, dragged away and then imprisoned or killed. Hortense's father was one of the many executed by guillotine and Hortense's mother, Josephine was one of the many imprisoned. Josephine is now married to Napoleon, who is rising to power. While Napoleon is fighting, Hortense attends The Institute, a boarding school for young women. Hortense is a good student, especially in the arts. Hortense prayis for the protection of her brother Eugene, while fighting with Napoleon's troops. She is also secretly pining for Christophe, a fellow officer with Eugene and dealing with Caroline, Napoleon's troublesome little sister. Hortense has many painful memories of the past and her future is quickly changing as Napoleon gains power. 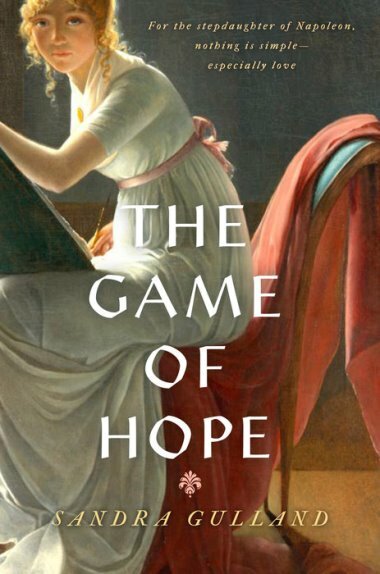 The Game of Hope is the story of Hortense de Beauharnais' coming of age. Hortense would go on to become the Queen Consort of Holland; however, the events of her childhood help mold the adult she will become. Focusing on the years of 1798-1800, we get to see a few years of Hortense's life as the Revolution was shaping France, it's people and Napoleon's rise to power. Throughout everything that was going on with her country and her personal life, I felt that Hortense was very much captured as a regular young woman. Written with much historical detail, I was fascinated to learn about the effects of the Revolution on those who survived as well as details of Hortense's private life. I was amazed to know that Hortense was a composer, and that I am able to listen to her pieces being performed today. While the focus of the story was on Hortense, I also had many glimpses into the rest of her fascinating family including the relationship between Napoleon and Josephine as well as fascinating Caroline. Overall, an engrossing historical biography of an amazing woman in history that is filled with hope and strength. Sandra Gulland is an American-born Canadian novelist specializing in historical fiction. She is the author of the internationally bestselling trilogy of adult books based on the life of Josephine de Beauharnais Bonaparte, as well as two novels set at the court of Louis XIV, the Sun King. Her books have been published in sixteen countries, translated into thirteen languages, and sold more than a million copies worldwide. 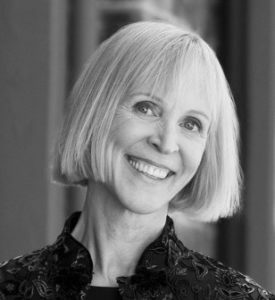 Sandra Gulland's novels include The Josephine B. Trilogy, The Shadow Queen, Mistress of the Sun, and The Game of Hope. Thank you so much for hosting Sandra's blog tour & for your review of The Game of Hope! We appreciate your support!